It had been a while since I’d gone on one of my little inspiration-seeking excursions, but this trip was worth the wait. 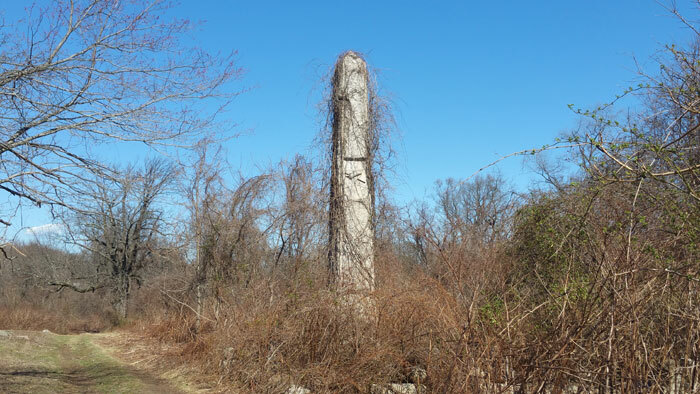 I spent a day at Mount Moriah, a previously-abandoned, still half-overgrown Victorian era cemetery just outside Philadelphia. Since opening in 1855, Mount Moriah spread to nearly 400 acres. 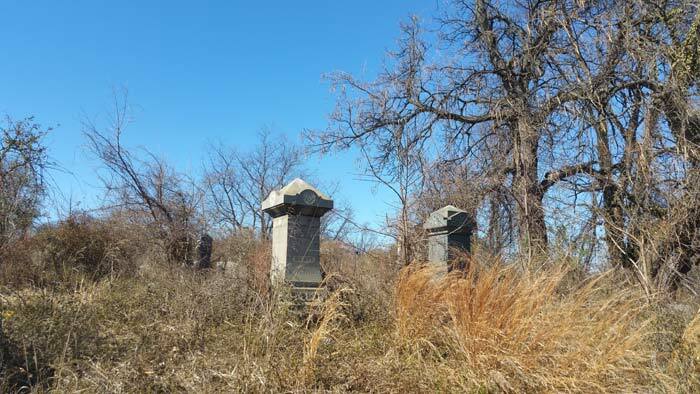 Due to legal confusion over ownership, the cemetery more recently fell to neglect, though a group of volunteers have been slowly working on restoration efforts. I focused my visit on the areas that hadn’t yet been restored — far more than I initially expected. And I have to say it’s one of the more unique experiences I’ve had. 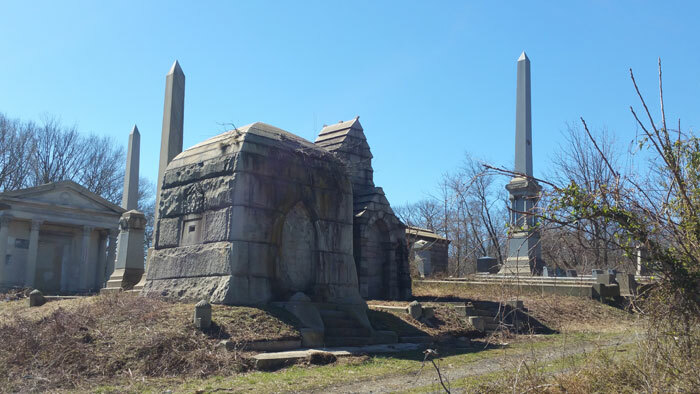 If you’re in the area and interested either from an inspirational perspective for your writing or simply due to a love of history, Mount Moriah is worth a visit. You’ll find military plots, mausoleums, and monuments that are well taken care of. Make your way through the well-kept sections and you’ll find hidden bits of history all around, like this bramble-covered headstone. 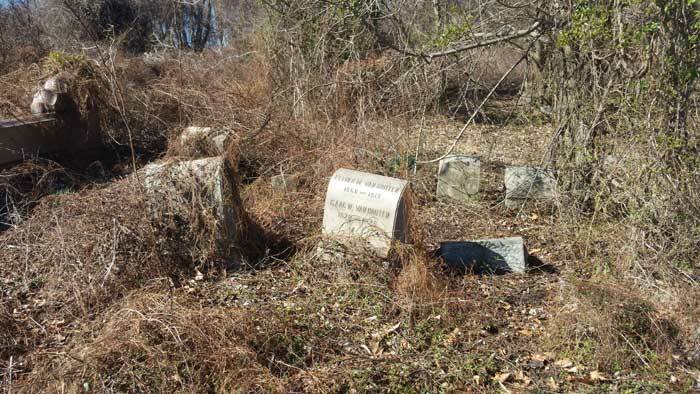 Some of the grave markers you’ll come across are still nearly impossible to make your way to. My cousin and I noticed some headstones oddly located above a mausoleum built into a hillside. When we climbed up to get a better look, we realized there was far more tucked into the woods than we realized. We were able to cut a new path through the trees, brush, and vines (I’ve never seen so many vines), but there were some areas we couldn’t get through safely. 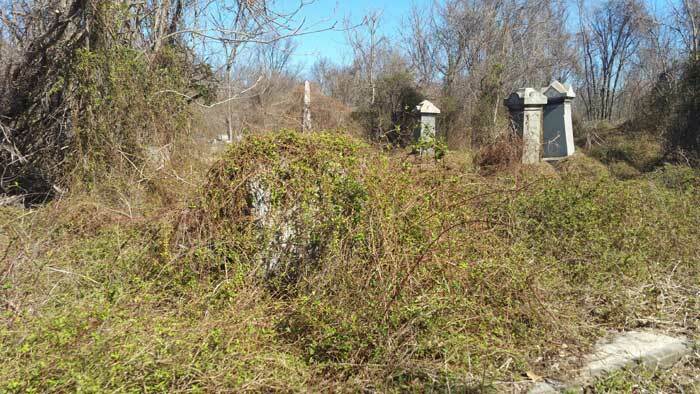 While you’ll find well-worn paths through much of the cemetery, there are still a few secluded areas most visitors clearly haven’t made their way to. It’s worth seeking them out. 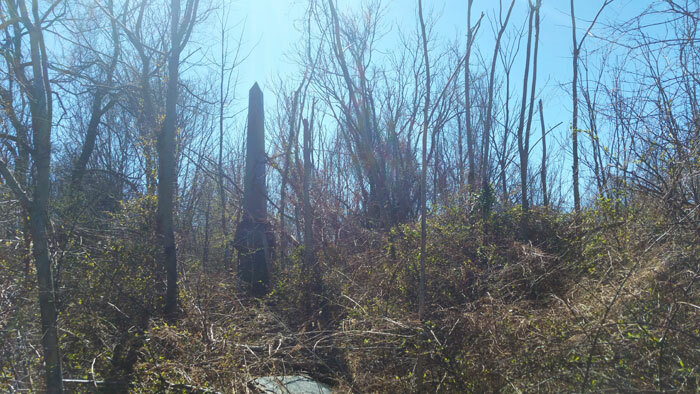 We drove around, checking out some of the ongoing restoration work and came across this obelisk — one of my favorite. You can’t make it out in the photo, but there are headstones all around it in the thick reed-like growth. Others along our route blended almost seamlessly into their new surroundings, like this monument tucked amongst the trees. I went to Mount Moriah expecting a creepy atmosphere to potentially inspire a horror story or two. Certain areas did indeed send shivers down my spine. Yet, at the same time, it was a beautiful day. And with Mother Nature shining a light on not only the history, but also the neglect, I couldn’t help but feel more than a little bit sad. While I didn’t leave with any particular story ideas in mind, you never know. 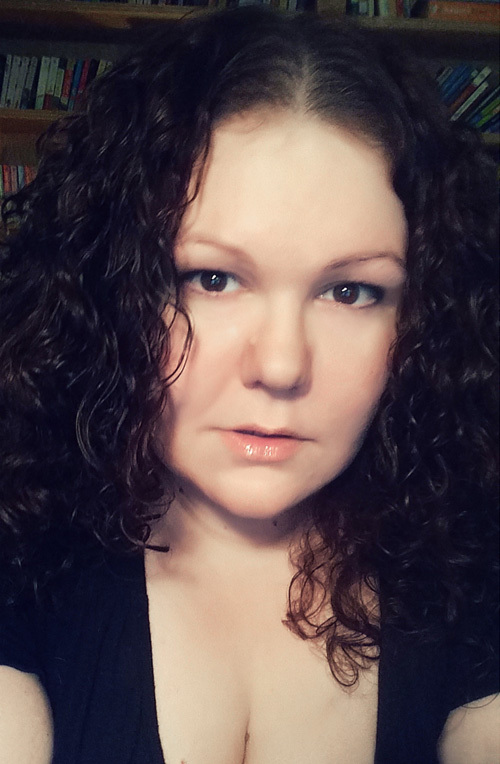 The best ghost stories are as much about loss and sadness as they are about darkness or fear. 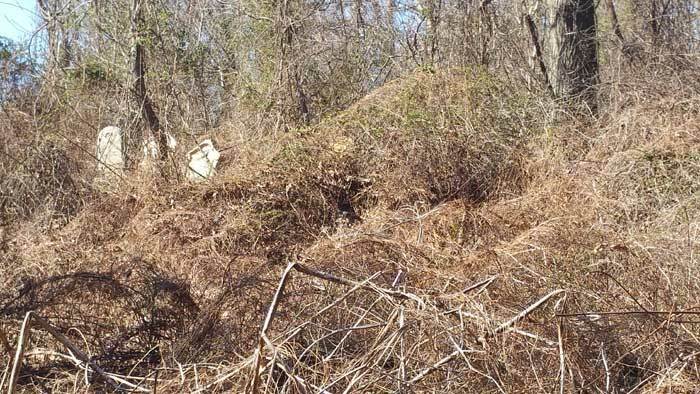 So perhaps Mount Moriah has a few stories in her, tucked among the thickets still waiting to be explored.